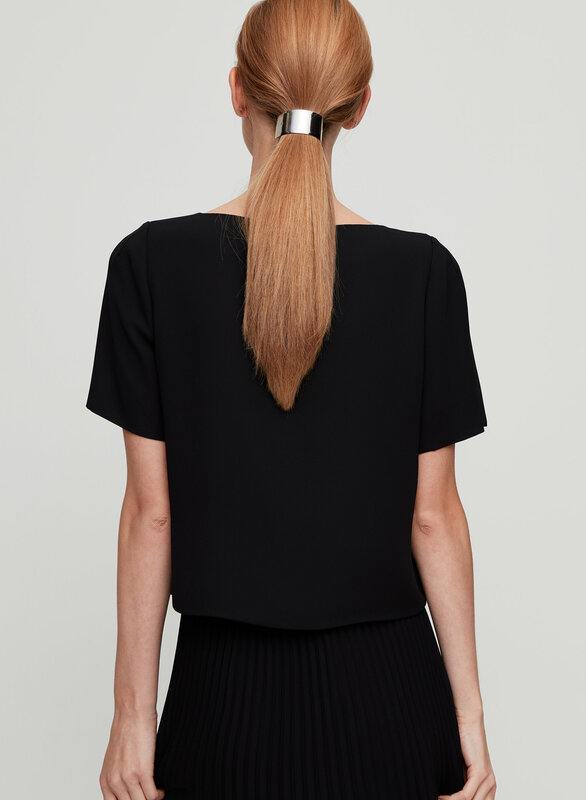 V essential. 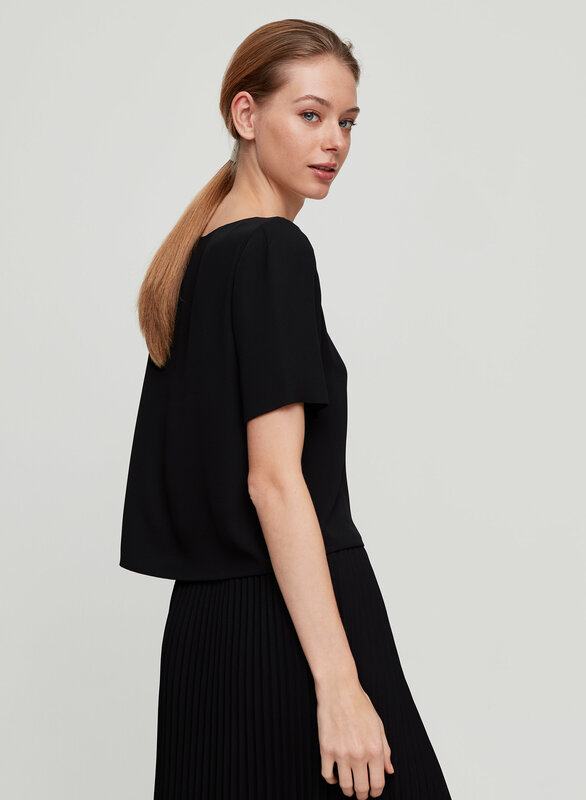 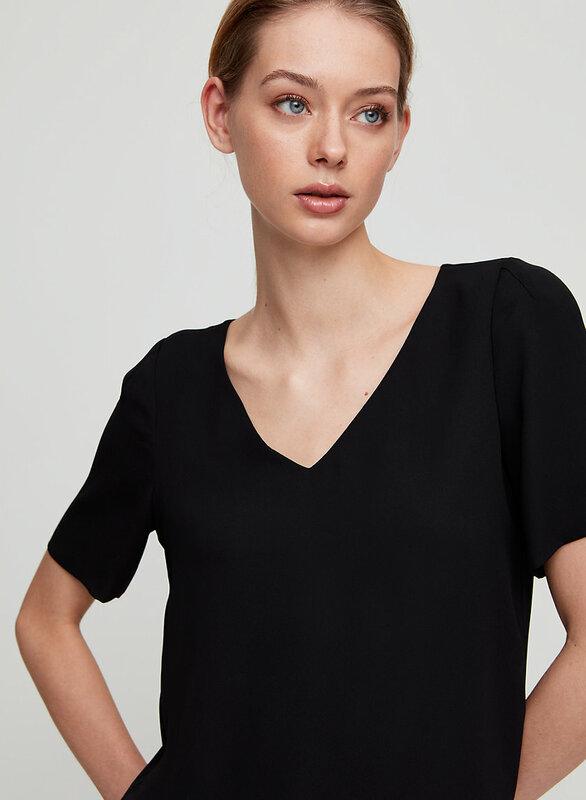 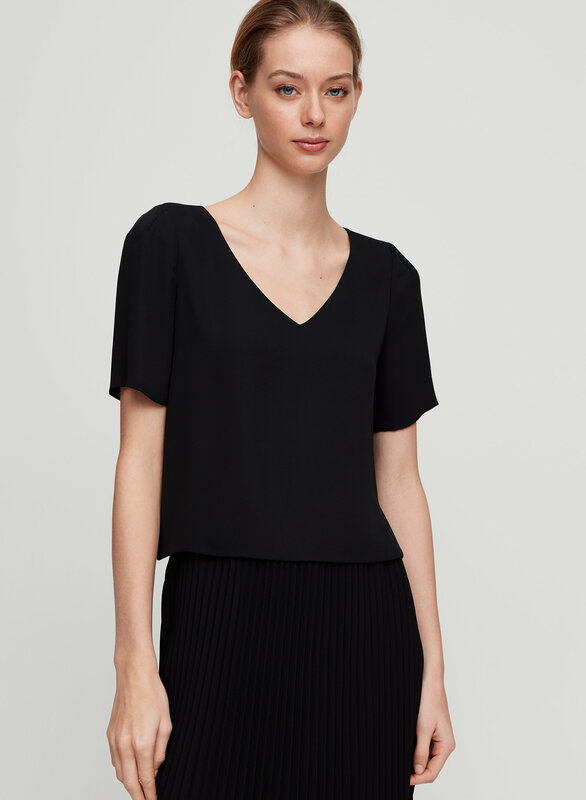 Babaton's version of the t-shirt blouse has a streamlined silhouette that's cut to hang off the body. 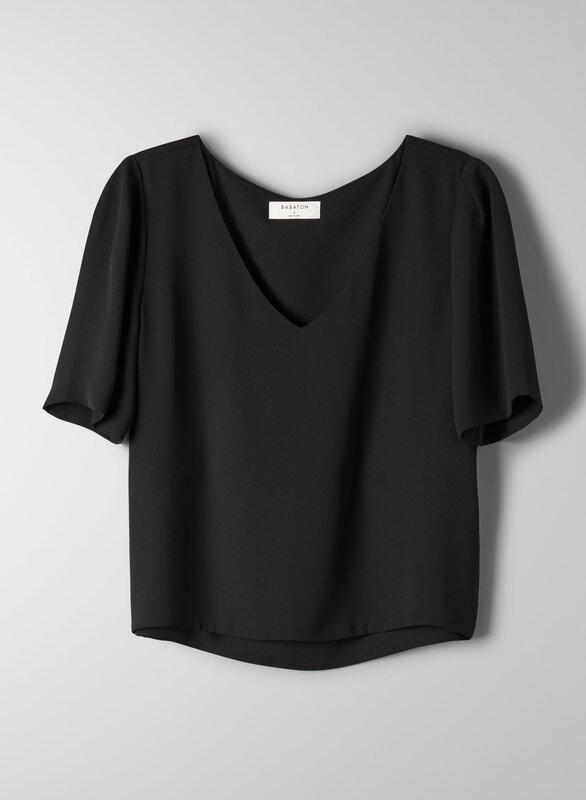 It’s made from a lightweight fabric with a beautiful drape.